By now everyone has seen a book wreath. Probably you’ve seen a book bundle (especially the ones with the covers ripped off). I personally haven’t made the former, but I have several of the latter. My husband thinks it’s a shameful way to treat perfectly good books, but I haven’t seen him actually trying to read any of the books I have brought home! …and I promised instructions were forthcoming! So here they are. First you need an old book, minus the cover. Around 200 pages will give a very nice, fat, birdhouse. If your book is longer than that, you might end up using some of the end pages for another project. Fold the first page in half toward the spine. Then fold the top corner down to meet the spine, making a triangle. Flip that page over; you’re done with it now. On the second page, fold the bottom corner in to meet the spine, making a triangle. Then fold the top corner in to meet the spine. Alternate pages one and two, and you’ll be making a book birdhouse like the middle-sized one in the picture above (the bottom edge of the roof is slanted, rather than horizontal). The other two birdhouses are slightly different. The first page is the same, but on the second page, fold the top corner in to meet the spine first. Then fold the bottom corner in to meet the spine. Next, carefully tear the page away from the binding from the bottom half-way up. Fold it up to make a triangle. This is what method number two looks like when you’re about half-way done. When you’ve finished folding all of your pages, glue the first and the last pages together, and you’ve got a birdhouse! I did have a problem with some of the pages wanting to come completely free of the binding. I generously glued them back in place. My three birdhouses have taken up residence on my French chocolate coffee table. As you can see, I used a little brown craft paint to paint pseudo-openings on them. So those paper birds have a way in, you know! These are probably going with me to Bella’s Vintage Market next Saturday. I’d like to try tying some twine around the spine and suspending them from my tent! Hope it works! 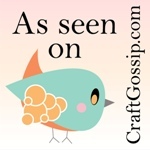 Thanks to Craft Gossip for featuring this project here. This reminds me of the Christmas trees we made as children using Reader's Digest. How fun...and a very clever idea. They look great! Those are great! Thanks for the great tutorial! As adorable as these are... I almost want to side with your husband. I, too, have a hard time with "reconstructing" books into something new. I have purchased several books that I know aren't worth reading especially for this purpose, but still find myself hesitating to make that first rip, bend or splash of paint! That is an adorable idea. Love how they turned out. very cool when I was little (I mean younger) we did this with big old catalogs and made Christmas trees out of them. Wow these are great! I really love the look of them. I will have to keep an eye out for some old text books because I have a hard time ripping up books too! those are so cool and unique! love them! Like several of the others, I remember making books into Christmas trees. These are adorable! They'd look great on a summer mantelpiece. I wonder if you could achieve more of a mushroom shape? Great job! I made mine over the weekend and am so glad you posted about them before me, now I don't have to do the tutorial and can give you all the credit since you sent me the link a couple of weeks ago! Thanks! The birdhouses are a great idea and your bedside tables with aluminum foil are smashing! Thanks for sharing all the ideas and providing the info/tutorials. I agree with your husband as well. I collect old books and would never be able to do this to them! I love these! They look great on your table. Thanks for visiting my blog. Yes...you hit the nail on the head..."DADD" to a fault. thanks for being patient with me. You are wonderful! Love love love these!! I have been addicted to paperback crafts lately! Pumpkins, trees, fireworks and now bird houses! So cute! Those are fantastic! 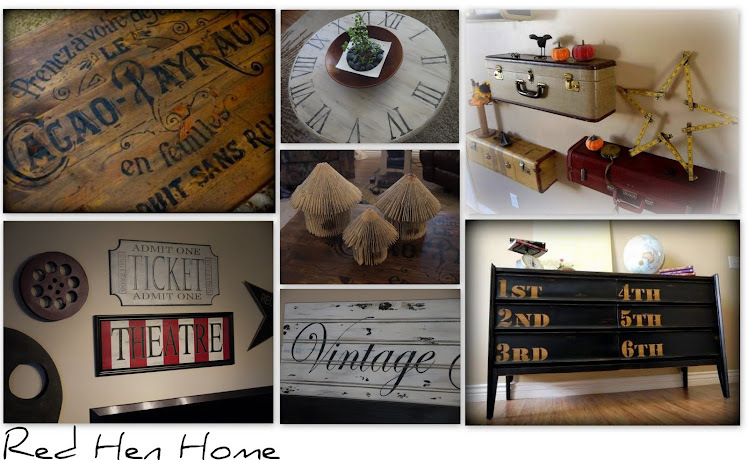 I would love for you to share this project on my Inspiration Board. Gorgeous - I love these and will definitely be trying this out! thanks so much for sharing the tutorial. That is amazing! Really great! I would never have thought to do that but now I feel like I must go try it right now!!! I love these, and handn't seen them before - thanks for posting the how-to! OK....this are too stinkin cute!!!!!! Love them! Great idea! Thanks for the tutorial. I love anything birdhouse related, so will definitely be trying this. Thank you. Oh my gosh I LOVE THESE!!!!! I must make them:) Thank you so very much for the tutorial!!! I found you via the Under $100 Linky Party! Over from Open House. Very cute.. I've done a few book page projects too, but this is very creative and unique. I would love it if you shared this at my linky party. My mama LOVES bird houses and used to be a teaher. Her birthday is coming up and I am going to make her some of these! THANK YOU so much for sharing!! So excited! Cute! I don't know how all you creative ladies come up with this stuff but I'm in awe! Awesome. I'm totally trying this out. THANK YOU for sharing your how-to's every week at EBTKS. I'm always happy to see you've joined the fun! Making one right now. Thanks for sharing to tutorial! Hello! I like this little book paper home and I made it to. Thank you for sharing tutorial. I put the link of tutorial on my blog. Oh I love those! I want to give them a try too! Korrie, I haven't seen these before and they are adorable! Thanks for sharing the "how to" at my party. I LOVE all things "bird" and this is no exception! What a concise, clearly written tutorial...thank you very much for sharing. Can't wait to try this! PS I am your newest follower. Hope you will visit "my neck of the woods" when you have a moment! These are adorable, Korrie! I've been looking for something to do with the book "proofs" I've been accumulating! Will be checking out your book bundles, too. Thanks for sharing! Really a great idea. Thanks for the tutorial. I am definitely going to try it. Very cute....we have a Visiting Nurses book sale in Phoenix in Feb. and if you go the last day everything is half off the already low price. Tons of old books...probably nothing you would take time to read and perfect for projects. Many of them with various great colored binding use to end up in stacks with a silk bow and silk flowers for an arrangement. This project for the bird houses is very "in" looking and something you could do with children even. Or a fun day with crafting friends. You get my vote...BEST CRAFT! I love the reuse of old books. I am pinning this AND featuring you Monday! (and also stealing the idea to make some for myself:)I would love for you to link up this weekend! Found you at Saturday Night Special. I remember making these in grade school for a Christmas project. We used Sears catalogs and then spray painted them green. I'd forgotten all about them until recently when I saw them at a flea market and thought they were cute. Wouldn't buy one since I knew I could make them ... thanks for your tutorial because I couldn't remember how to fold the pages! WHat a beautifully unique Idea. Love them. What a cute idea! We have lots of old books around here. Such a novel idea!